Last chance – MEMBER DISCOUNTS for NIAF’s 43rd Anniversary Gala! The deadline to purchase members-only discounted tickets to NIAF’s 43rd Anniversary Gala is Friday, July 27! The Gala, taking place on Saturday, October 13, 2018, will be an incredible evening of Italian honorees, entertainment and celebration! Learn more about the event and purchase your tickets today to save your seat at THE Italian American event of the season here: www.niaf.org/gala. Not a NIAF Member? 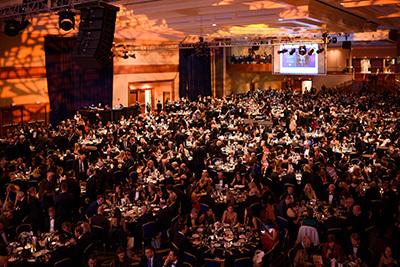 Purchase your NIAF Membership and then you can take advantage of the limited time discount on our #NIAF43rd Gala tickets: https://bit.ly/2AD1pYA. NIAF is celebrating its 2018 Region of Honor: Puglia! The famous heel of Italy’s boot, Puglia boasts sun-bleached coasts, Medieval towns perched atop mountainsides and a regional pride rooted firmly in its agricultural communities that is still relatively untouched by widespread tourism. You can see photos and videos from NIAF’s visits to Puglia this summer on our 2018 Voyage of Discovery program and our Board of Directors’ Mission to Italy via our social media channels. We will continue to celebrate Puglia throughout the year and at our 43rd Anniversary Gala Weekend, which will take place October 12-14, 2018. NIAF On Campus Fellowship – apply today! Do you want to be a leader of the Italian American community on campus? 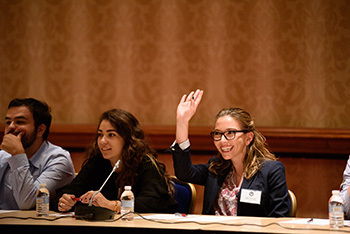 We are looking for passionate college students who want to have a voice in Italian American affairs for our 2018-2019 NIAF On Campus Fellowship Program. Student Fellows will receive leadership training, networking opportunities, and a ticket to NIAF’s 43rd Anniversary Gala. Deadline to apply: September 15. For more information, go to: https://bit.ly/2HBLEjU. Did you or someone you know participate in NIAF’s Voyage of Discovery or NIAF’s Gift of Discovery program in past years? If so, we’d love to hear from you! We’re creating an alumni database and we need your help! Please email your name, Voyage of Discovery year, and any other information you’d like to share about your experience to voyageofdiscovery@niaf.org. NIAF members, don’t forget to check out all money-saving discounts, exclusive deals and membership benefits that NIAF Corporate Sponsors offer to NIAF members through your NIAF Membership Portal here: www.niaf.org/my-niaf/. Like NIAF? Then “like” NIAF’s Italian American, pride-studded, Facebook page to be a part of our online community! And those of you who already follow us, grazie mille for your support! NIAF on Facebook is a quickly-growing online community with everything but your Sunday dinner table — news, views, recipes and trivia. Anything Italian, Italian American or NIAF, it’s there! Plus, contests, giveaways and free tickets to shows, concerts and events across the country! Join us at www.facebook.com/niaf.org. Don’t miss IAMLA’s new exhibit, running until January 13, 2019, titled: “Italianità: Italian Diaspora Artists Examine Identity.” This fascinating exhibit explores the concept of “italianità,” which translates to “Italian-ness,” and features more than 20 artists whose work showcases the complex nature of the Italian diaspora and celebrates the beliefs, traditions and defining characteristics connected to this movement. For more information, click here: https://bit.ly/2yRJqgB. Hurry! There are only a few spots left on Rossella Rago’s (of “Cooking with Nonna”) annual Culinary Tours to the Amalfi Coast, September 1-8, 2018, and the southern Italian region of Puglia, September 8-15, 2018. The trip to Puglia will allow guests to explore Rossella’s native region, learning, cooking and eating all Puglia has to offer. For more information on both tours, go to https://bit.ly/2N8yKgK. The 2018 San Marziale Procession in Kulpmont, Pa., will take place this Sunday, July 8 at 12:30 p.m. 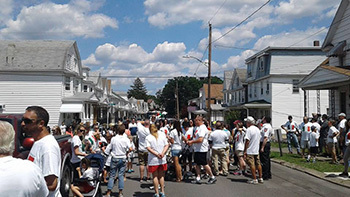 The procession celebrates Saint Marziale, the patron saint of Isca sull’ Ionio – a small town in southern Italy that was the birthplace of many Italian American immigrants. The event will showcase the legendary “Our Boys Band,” composed of students, original band members, and the local community, with a reception to follow. Proceeds go to charity. For more information, go to https://bit.ly/2vUu2yk. Join the Brooklyn Cyclones minor league baseball team for their Italian Cultural Night this Sunday, July 8 at 4 p.m. for its game against Yankees Staten Island! The event will include food from local Italian restaurants and vendors, a “Best Sauce” contest, a “Nonna of the Game” contest, a cannoli-eating competition, and Italian music and entertainment! Purchase your tickets here: https://bit.ly/2H3ZOcD. Since 1903, Italian immigrants from Nola, Italy, have continued to celebrate each July their devotion to Our Lady of Mount Carmel in the streets of Brooklyn. This year’s feast and events will take place July 5-16, including the traditional carrying of the Giglio through the neighborhood. For a full calendar of events, go to www.olmcfeast.com. Calling all Italian product vendors! Travel in Italian luxury in Alitalia’s Magnifica Class. You will feel like you’ve already arrived in Italy when flying with Alitalia. 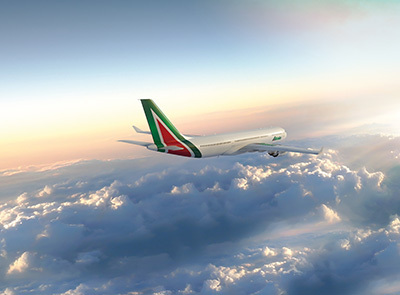 Alitalia’s A330s and B777s aircraft feature completely refurbished cabin interiors, exclusive Made-in-Italy amenities, onboard WiFi connectivity for phone calls, internet and email. * Complimentary WiFi connectivity is available for Magnifica and Premium Economy passengers. Relax in Magnifica (Alitalia’s long-haul business-class) and enjoy Italian brand Poltrona Frau leather seats that fully recline to a comfortable flatbed position and award-winning onboard dining. Savor the flavors of the best of Italian regional food accompanied by wines from the country’s best vineyards and the Ferrari Trento DOC sparkling wines. After your meal, chose from three different blends of espresso selected for Alitalia by the famous Italian brand Lavazza. Discover a new way to fly on long-haul international flights in our Premium Economy cabin where space, comfort and technology are not just details. Extra benefits include separate quiet cabin with ergonomic seats that recline up to approximately 120 degrees and offer up to 40 percent more space, baggage allowance of two items weighing 23 kilograms each, dedicated check-in desks, priority boarding and more. 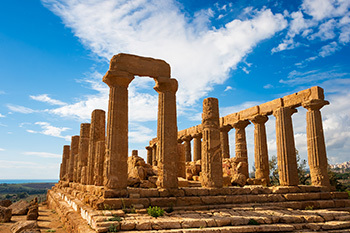 View Alitalia’s special offers and start planning your next vacation!